You have no control, or ability to make the video embed at a larger size. 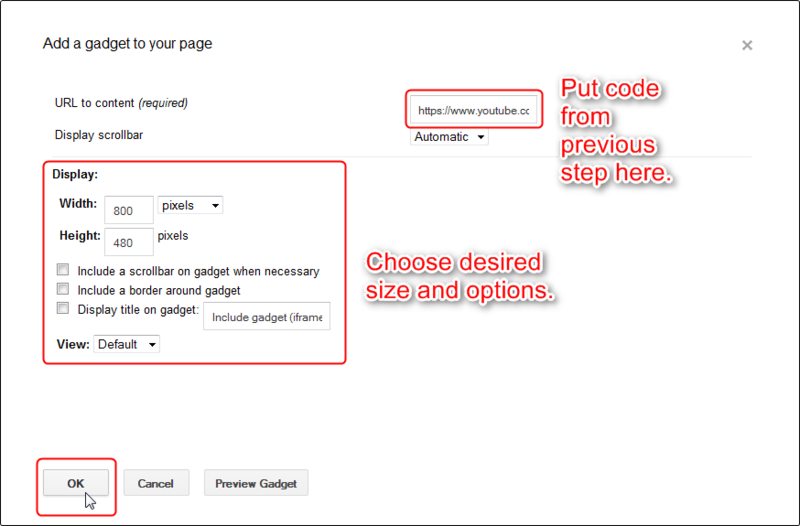 Well, I found a workaround that allows you to embed YouTube videos at any size you want. For example, here is the same video embedded at 800x480. 1. Enter Edit mode on your Google Sites page. 3. Search for "iframe" and select it. 4. 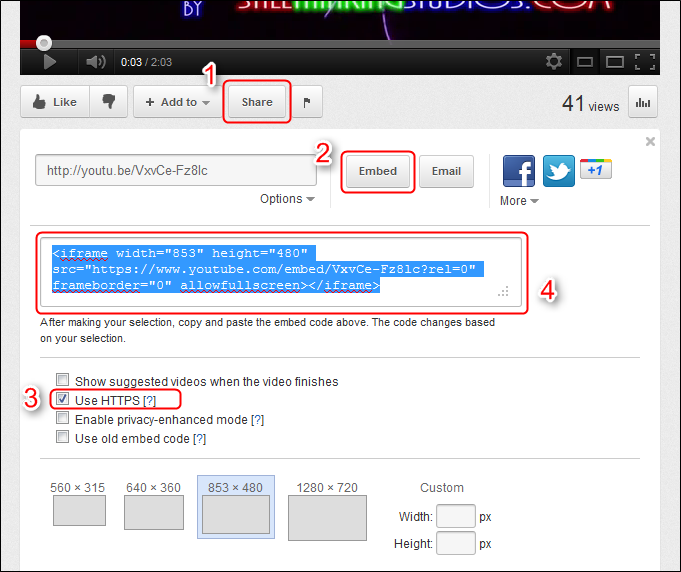 Go to your YouTube video page, and click Share>Embed, and make your customization selections (except size), and then copy the code. I recommend checking the "Use HTTPS" feature, so that your videos will show even if you use Internet Explorer to view your site at its native https://sites.google.com/ address. 6. Paste that embed link into the "URL to content" field of the iframe gadget properties, then set your desired size and display options under "Display." Note: You could use the Embed Gadget instead, however, it places the title "Embed Gadget," and a border around the gadget, with no way to remove them. The iframe gadget allows you to control these options, except that I noticed that Internet Explorer places a border around it anyway, but that is just a software characteristic, not a gadget characteristic.